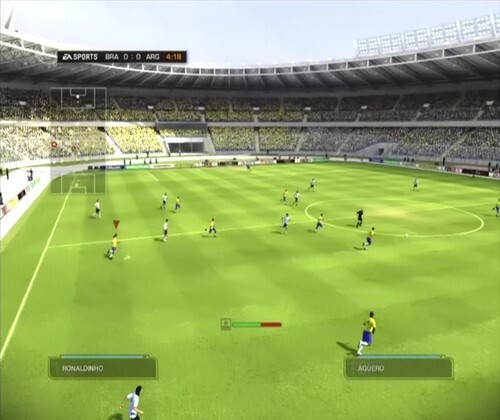 Be a Pro online game mode is exactly the same as the offline version, except every player on the pitch is controlled by another online player. You can see the article on the offline Be a Pro Mode here. Keep in mind that the FIFA 09 online version of this is pretty dead, at least at the time of writing. However, you can still get an online game started for this by inviting your friends to play. If you're really interested in the Be a Pro game mode and you would like to take your skills online, I'd recommend buying a newer version of FIFA, which all also have the Be a Pro game mode available for online play. FIFA 09 Clubs mode allows you to create your own club and invite your friends or other online players to join. Bolster your squad with the best players you can come by and take your skills online in ranked matches against other FIFA 09 Clubs. Everyone's skill attributes are identical, so the success of your team relies on the ability of your recruited players. With FIFA's returning Online Leagues game mode, you can create and customize your own leagues to play with your friends. You can specify rules for who is allowed to join and game rules and customize your league logo and trophy. The Interactive Leagues game mode allows you to represent your favorite club team and play against other clubs in the league of your chosen team. By playing these matches according to real-life season fixtures, you can establish a rank within your club and your club collectively creates a rank against others in the league. Unfortunately, now that the 2008-2009 season has gone, this Game Mode is no longer active. If you are interested in this game mode, I would recommend buying the newest version of FIFA, which all feature this game mode. As explained above, these are just traditional 1v1 matches of football. This does not differ much from the offline experience. There are two types of online games, Ranked and Unranked. Ranked affects your online rank and Unranked does not. Note that custom matches can be either of the two types and you can also use the FIFA 09 Lobbies to find an opponent, although they are also pretty dead at the time of writing.